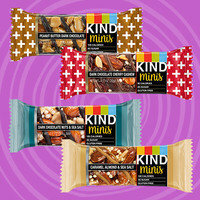 Love Kind Bars, but find yourself wishing they came in smaller snack sizes? You're in luck! With around 100 calories, we're nuts about these decadent, satisfying, quick-fix snacks. The original Minis were discontinued a few years ago, but now they're back in two combo packs: Peanut Butter Dark Chocolate + Dark Chocolate Cherry Cashew and Dark Chocolate Nuts & Sea Salt + Caramel Almond & Sea Salt. 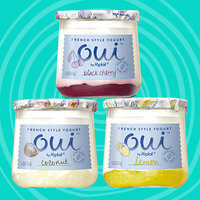 Find them at major retailers like Target, or order online! Woohoo! The Brownie Brittle queen, Sheila G, has added a new flavor to her super-popular lineup of crunchy chocolate snacks, and it's AWESOME. Rich cocoa flavor with just the right amount of salty zing! Bonus: It also comes in a gluten-free variety. 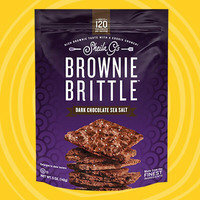 Click to locate Brownie Brittle near you. Yayayayayay! And that's all we've got. 'Til next time... Chew the right thing! Make sure your pals' grocery lists are up to date! Click "Send to a Friend" now.